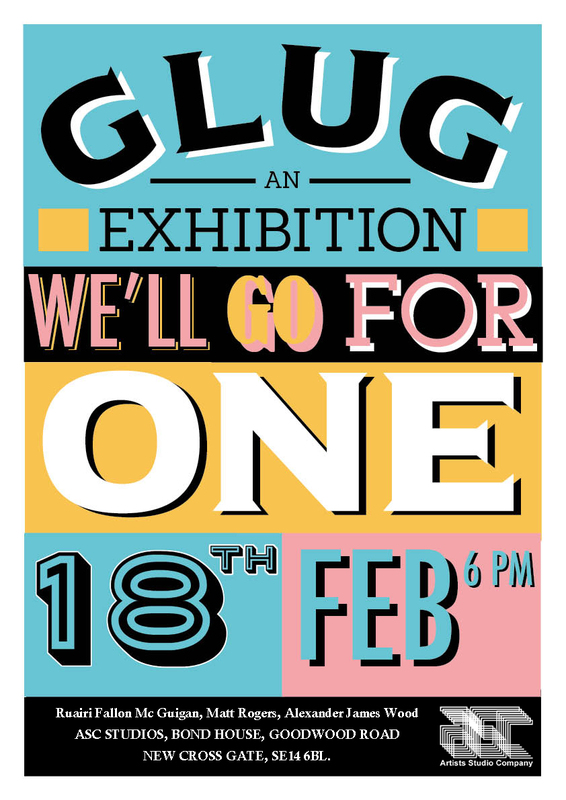 Three recent graduates from Camberwell College of Arts present GLUG, an exhibition and workshop, taking place at ASC studio’s in-house Gallery. Running between the 18th and 27th of February. Much like the onomatopoeic word GLUG for the sound of liquid being poured into a container, the graduate artists find themselves adapting into a new context. In this exhibition, the detritus and debris of after-hours life and drinking culture in the city provide the landscape and themes the three Artists have explored in their own way. GLUG will also be hosting a relief-printing workshop that will offer the chance for viewers to print their own five-panel narrative from a library of pre-cut slides by Ruairi, Alexander and Matt. Creations will be printed on a variety of papers with the option of creating a concertina book that (once fully dried) can be sent to your address. 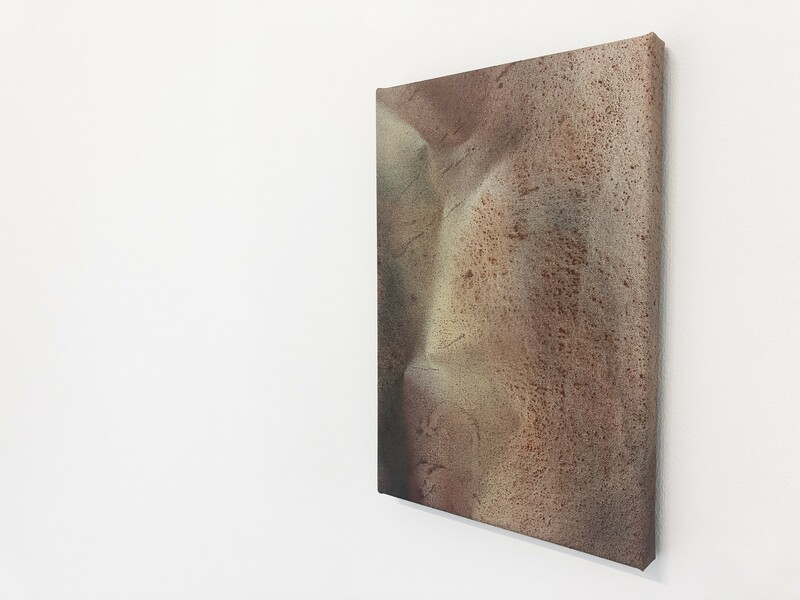 In his most recent work, Ruairi engaged first hand with a collection of Irish diaspora members. From the far side of the bar they claimed that they built the foundations of Britain. From these interactions, Ruairi made work on the culture and drinking habits of this demographic as well as its community structured around the various Irish pubs of London. In continuation with this project Ruairi has begun looking at the reality of these men’s words. Their legacy is displayed in shape of the structures they built as young men. Still standing, only just… The irony of the self-destructive lifestyle now lead by an ostracised and ageing generation of construction workers and tradesmen is not lost on Ruairi, and his work offers a candid, but compassionate reportage of the shape of their lives. GLUG sees Ruairi once again building upon the relationship between printmaking and sculpture and A Man and his Hammer looks at the fundamental truths between people and the work they leave behind. Ruairi Fallon is an Illustrator and Printmaker. Since graduating Ruairi has worked for the Wellcome Collection, begun work on a large installation project for the Irish Diaspora Museum, won a residency at Thames Barrier Print Studio and taken part in People of Prints Christmas Exhibition. Matt has been experimenting with sign painting for the past year, and has been directly involved with several regeneration projects throughout Peckham. Matt was instrumental in the development of ‘Flanagan’s Bar’s’ signage a project by Ruairi Fallon. Matt’s new work Outside Inn investigates the language and rituals of English drinking culture and builds upon the sign painting explored in his previous work. This work provides a voyeuristic insight on the illusive concept of ‘one pint’. A concept many have been hunting their whole adult lives. The installation is comprised of sign-writing and found objects. As you walk amongst the installation you are asked to discover a narrative that is played out amongst the sporadic chatter of his sign writing and the interesting composition of structures. Specific moments take on new meaning through Matt’s rendering of words, phrases and questions that are all too familiar to us. Without prejudice, Matt deconstructs the cathartic pleasure and pain involved in humanities oldest and favourite pastime. Matt Rogers is a Graphic Designer and Sign Painter. Since graduating Matt has been working on branding and website commissions along side his everyday work with children with learning difficulties.